Double Negative sees Low continue their tradition of producing highly emotional music and delivers their most powerful, direct, and moving work yet. Low set out on their extraordinary musical journey 25 years ago, in the early '90s. At that time, the indie and alternative rock scenes were dominated by the rise of the grunge. The punk sensibilities of Nirvana, the '70s weight of Alice in Chains, and the high octane heavy rock of Soundgarden were in the spotlight, delivering records filled with energy and aggression. Low took a different route; instead diving into the darker corners of indie rock, uncovering a downbeat realm filled with the promises of sorrow and melancholy. Centered around Aaron Sparhawk and Mimi Parker, Low have produced an excellent series of releases. From the early days of I Could Live in Hope, the band retained an open perspective when it came to their stylistic endeavors. Post-rock elements began to appear in Trust, while experiments with electronic music were absolutely successful in Drums and Guns and the band's previous full-length Ones and Sixes. And again, for their new album, Double Negative, Low undergoes a process of subtle evolution, tempering with noise elements and distorted instrumentation to produce moments of sheer extremity. But, at the same time, they are also at their most melodic and catchy, unveiling some of their most pop-induced compositions. Low have always played around with noise, something that added to their investigations a few lo-fi sounds. This experimentation added a different texture to their sorrowful processions, something that they double down on with Double Negative. The opening track "Quorum" is such an instance, as the pulsing noise creates a haze to the otherwise lo-fi, shoegaze environment of the band. The result manages to balance between being delicate and being abrupt, while the electronically driven progression boosts the presence of this brilliant sonic dissonance. The approach Low takes in Double Negative is also a result of the presence of producer B.J. Burton, who worked with the band in Ones and Sixes. Sparhawk explained that he was interested to see what Burton ("a hip-hop guy") could do with their music, and the result completely justifies the choice. Not only is the band's experimentations at a high, but the resulting groove and feel of the record feel like a breath of fresh air from Low. The band continues to investigate with a minimalistic approach, building moments of ambient majesty through the course of Double Negative. "The Son, The Sun" sees Low produce these dark atmospherics, combined with powerful, ethereal soundscapes. The stripped down background of "Always Up" is another instance where the fading soundscapes create a sparse space for the vocals of Sparhawk and Parker. The overall feel of these moments carries a folk-ish sensitivity as if Low have somehow projected a bizarro, distorted, different-dimensional folk track. It is a sense that also appears in "Dancing and Fire" as the isolated environment finds Sparhawk in isolation before Parker joins in to produce a majestic performance of high emotional quality. The sorrowful tone of Low is legendary and has remained the trademark of the band through the years. But it would be nothing if it was not for the vocals of both Sparhawk and Parker. Not only both of them are fantastic singers, but the way in which their voices combine is simply unreal. A simple example is "Poor Sucker", where the vocals not only provide the melodic presence for the track but craft the pacing and progression that it follows. The versatility of their performances is stunning, and despite the also impressive genre molding aspect of Low and the musical brilliance of the band, it is the vocals that generally steal the show. But, despite the more extreme elements, Low bring into play, the fantastic voices, and the sorrowful tonality, where Double Negative goes the extra mile is regarding the pop side that the band displays. 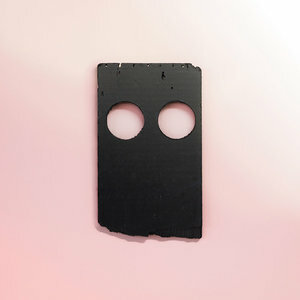 There was always a straightforward element regarding the progression and structure of Low's music, which was nicely camouflaged with the rich sonic palette and the melancholic characteristic the band projected. Here, however, the band roams free in that territory and produces some of its most mesmerizing and hypnotic offerings. The unbelievable "Fly" displays this vulnerable and delicate state of the band, with the noise and distortion kept at the background. It is a subtle rendition that comes alive with through the minimal instrumentation and Parker's otherworldly delivery. This romantic aspect is spread throughout the record and finds Low at their highest in terms of inspiration. Similarly, "Always Trying to Work It Out" arrives with a powerful sub-bass, while the impressive "Rome (Always in the Dark)" reveals the band at its most moving an emotional. What has always been so amazing about Low was the band's ability to coalesce these different sonic realms. The use of noise is always controlled in such a manner as to turn the extremity of the wall of sound approach into a warm fuzz. "Tempest" is an example of this ability, where Low plunge all elements into a sea of distortion, but instead of the result sounding extreme and detached, it brings out an emotive warmth. Similarly, the pop-y moments of Double Negative interchange with the heavy elements, the minimal investigations to create this kaleidoscopic sensation. It is what Low have been doing for a long time, but this is the record where they do it best.